BTI offers free freight on all orders of $500 and over. BTI's current product catalogue, covering the entire range, is able to be downloaded from this website. To access the catalogue please click here. "It is a pleasure to work with people that offer the support and goodwill that is part of the culture at BTI." BTI have become our one-stop-shop for all our gate and fencing parts, hardware and accessories." BTI is New Zealand’s leading supplier of quality hardware and accessories to the commercial and residential fence, gate and balustrade markets. BTI is a ‘one-stop-shop’ for all your fence and gate hardware needs – saving you time and money. BTI’s focus on superior quality components, from the world’s leading manufacturers, delivers outstanding results for the end-user and minimises future call-backs and claims for installers. Our knowledgeable and friendly staff assist you in identifying the right product for your application. The world's most trusted child safety latch just got even safer! Introducing the new MagnaLatch ALERT - available in both Top-Pull and Vertical-Pull configurations. Download the ALERT flyer or purchase online. The world's most trusted safety latch just got even better! Nearly 25 years after the original MagnaLatch hit the market, the next generation 'Series 3' MagnaLatch has arrived. After years in R&D and testing, and with a host of enhancements, the world’s most trusted child security latch is sure to impress customers and installers alike. The future of gate hardware is now! From D&D Technologies, BTI is pleased to unveil the next generation in gate hardware. More than a latch, it’s a lock! LokkLatch® Magnetic is the world’s first gate lock designed specifically for gates that provides finishes typically only found on door locks, eliminating the need to use inappropriate locks designed for internal use. The new chrome-look and brushed stainless-look finishes can be matched to the fence and other hardware . . . without corrosion. 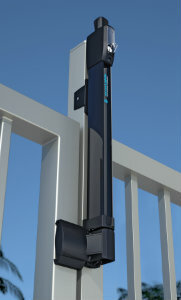 The world’s best self-closing gate hinges just got even better: now 40% stronger and with trim covers to hide fasteners. Top-selling TruClose® safety gate hinges have long been the most reliable self-closing hinges on the market. 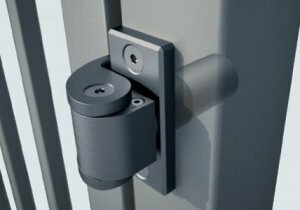 The new ‘Series 3’ range offers a unique, custom approach to gate hardware by introducing trim covers to match the gate lock or latch, while concealing all fasteners. To view the brochure on LokkLatch® Magnetic and Series 3 TruClose® hinges, click here. Introducing SureClose® - a revolutionary new combination hinge and hydraulic closer from D&D Technologies. To view a brochure on SureClose® hinge-closers, including dimensioned drawings, click here. BTI is pleased to offer the mhouse range of gate automation. Mhouse products are designed and made in Italy and are backed by a 2-year warranty. The drive units and accessories have been specifically designed for the DIY and are easy to install. 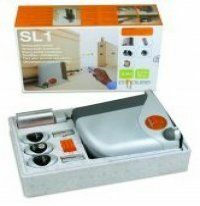 The automation kits are packaged with everything required including 2 remote controls.